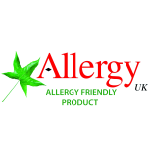 In order to obtain this award products are assessed by the Allergy UK panel of advisors and the appropriate type of allergy expert to confirm its suitability. This award is intended for products that may generally benefit allergy sufferers and improve their state of health and wellbeing or for people who wish to reduce their chemical load. Is this the most valuable accolade for HayMax™ to date? Since Allergy UK (the trading name of The British Allergy Foundation) is run by doctors, we believe it may well be.